AUSTIN, TX – The Republican Liberty Caucus has been working on endorsements through the priary campaign season and we can now offera final list of endorsed candidates. This list, along with additional recommendations for specific local races, was distributed to our members and to local voters by our regional chapters this past weekend. They will be circulating slate cards to voters at the polls for early and election day voting. Our work this year was made more difficult by the widespread corruption influencing the election process. The growth of “pay for play” endorsements and the widespread use of special interest money to purchase endorsements and produce entire bogus endorsing organizations has turned the selection of candidates into a minefield for honest voters. Our endorsements are based on personal knowledge of the candidates and our detaled candidate survey. We have received no compensation of any sort and have taken candidates involvement in paying for endorsements into consideration as a mark against them when choosing who to endorse. This is a list of clean and honest candidates who respect the principles of fair and open elections and share our believf in limited government and respect for individual liberty. On the list you will see several candidates listed as “recommended” rather than “endorsed.” These candidates did not receive the strong approval of our board in their race which is necessary for a full endorsement, but had enough positive qualities to be clearly identifiable as superior to the other candidates in that race. In several races we offer no endorsement at all because we determined that none of the candidates stands out as meeting our standards, or because we did not receive enough information to make a truly informed decision. We have also identified four candidates who represent the worst in Texas politics and who should be voted against no matter what the failings of their opponents may be. John Cornyn (Senate), Dan Patrick (Lt. Governor), Eric Opiela (Agriculture Commissioner) and Lamar Smith (US House) represent the worst in Texas politics. Each of them has a troubling record of duplicity and disregard for the interests of the people of Texas. Their lack of personal integrity and weakness of character makes them embarassments to our state and party. Not only should they be defeated, but they should be treated as pariahs and excluded from holding any future office in the state or national government. 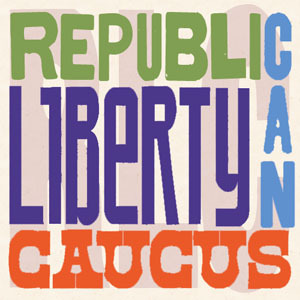 The Republican Liberty Caucus of Texas is a grassroots membership organization with chapters all over Texas, promoting the traditional Republican Party valies of limited government and individual liberty.